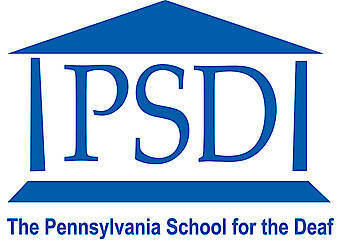 Founded in 1820, The Pennsylvania School for the Deaf (PSD) is the third oldest school for the deaf in the U.S. PSD currently educates 200 deaf, hard of hearing, or cochlear-implanted students, ages 2 - 21, from its campus in the historic Germantown section of Philadelphia. The school also operates an Early Intervention Program for deaf infants and their families ages 0-3 and a Community Preschool Program for Hearing Children, ages 3-5, both based on site. As part of its comprehensive academic program, PSD offers counselling, physical and occupational therapies, and audiological and speech services.